Access changes to Aquamoves this weekend - Aquamoves – Indoor and outdoor pools, fitness facilities and programs in Shepparton, Victoria. We are very excited to play host to the Victorian Country Long Course Swimming Championships this weekend! These titles are the biggest event to hit Aquamoves in the last ten years and will showcase regional Victoria’s best swimmers! Please be aware there will be changes in access to some of our facilities throughout the weekend in order to accommodate the event. The entire 50m Pool and three lanes in the 25m Pool will be unavailable to the general public from 4.00pm on 25 January until 6.00am on Monday on 29 January 2018. With the large crowd expected at the Swimming Championships, it’s likely the entire Victoria Park Lake precinct will be very busy. Please allow plenty of extra time to find a park when visiting the centre, especially if you are attending a group fitness class. We also encourage those who are able, to park along the Victoria Park Lake Foreshore or in surrounding streets and walk into the centre. For more information about the event, visit Swimming Victoria’s website here. 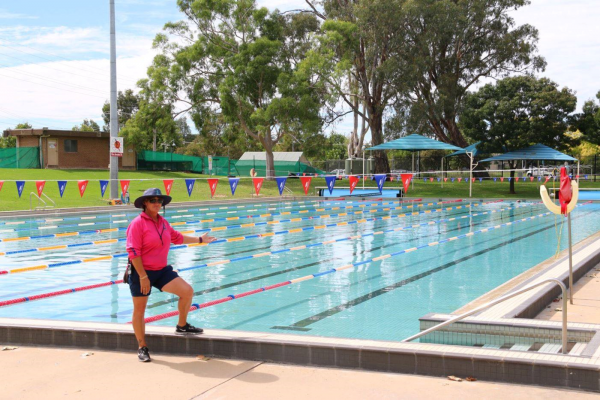 Aquamoves' 50m Pool will play host to the Victorian Country Long Course Swimming Championships this weekend.